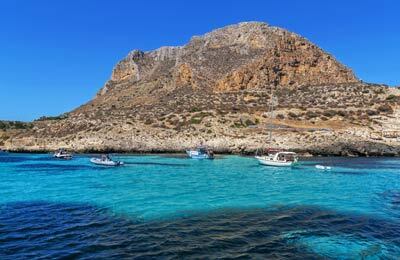 Favignana is one of The Aegadian Islands, just 4km off the coast of Sicily. The island is a haven for divers and beach lovers alike, with quiet enclosed beaches and deep lagoons. 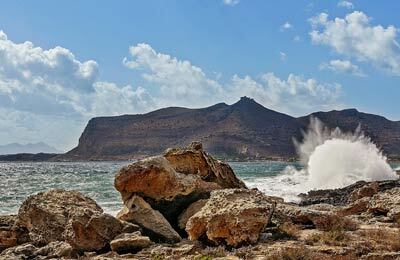 Ferries from Favignana sail to the other Aegadian Islands of Marettimo and Levanzo, and to the port of Trapani in Sicily. You can book Siremar ferries with AFerry. With Siremar, you will find comfortable seating offering panoramic views through the large windows. Ferries between the Aegadian Islands and Sicily are fastcraft hydrofoils and can reach speeds of up to 40 knots. These routes are for foot passengers only. As the port is in such close proximity to the town, you will find many amenities to make yourself comfortable before you depart, or just after you arrive at Favignana. Favignana is a small island, and most amenities are in the main town which is based around the port. The port can be reached easily either by foot or by taxi.